Oh God not another Brexit vote! I like to think that he is commenting on the mussed up mess. No matter what way we voted , nobody wanted this shambles and nobody had a clue what they were voting for either. Nice hare ! Well captured and a great title to go with it. Great capture and great title. 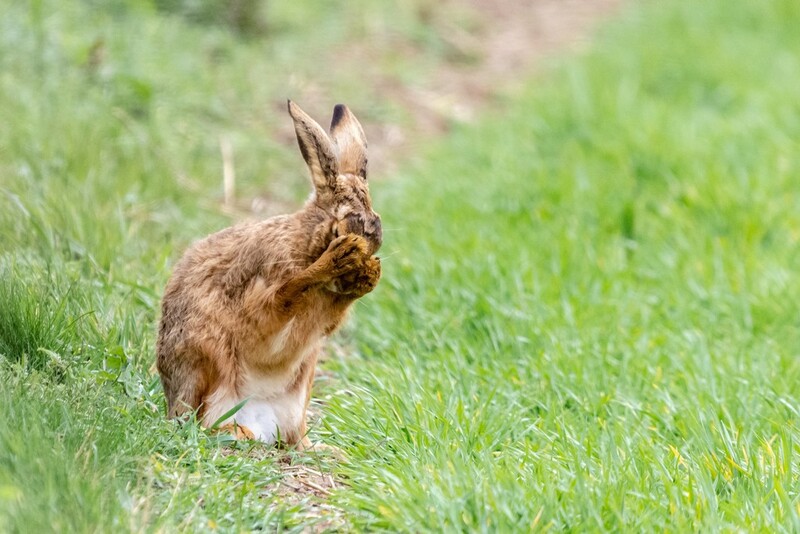 Great title and a super shot of the hare. Wonderful caption and cute shot! What a great capture. Fave.